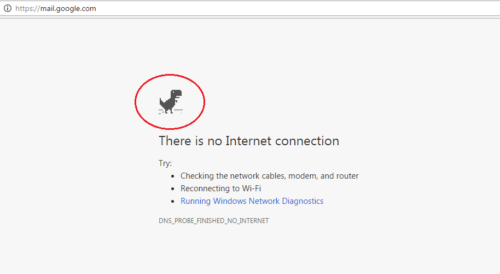 No WiFi Dinosaur game Google Chrome: Google chrome has introduced a new feature to pass your time. If you are struck in-between poor internet connection, or no connection at all then this game is for you. This Dinosaur game was introduced last year in a Google update. Note: This game is a year old and most of us Don’t even know about it. To play this game, you do not need an Internet connection. 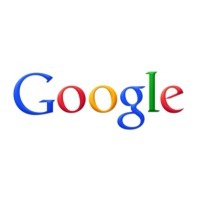 This game will only run on chrome browsers that cannot access the internet. Also, it is very funny and addicting. That’s why it is named as No WiFi Dinosaur game with endless paths. Click on the Dinosaurs Icon on the top (of the error). The game will begin automatically. Press Space-bar or UP Arrow key to jump. Don’t worry, the Dinosaurs will run on its own. Try to jump near Cactus and avoid them. Also, you will find flying Dinosaurs later in the game. Also avoid them to continue. Do share your High-scores on the comments below.